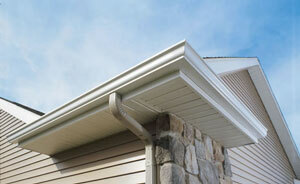 Eavestroughs are a vital component to the outside of your home. The function of eavestrough is to collect water (from the roof) and move it efficiently to the downspouts , away from your home. This mechanism manages the flow of water from the roof to the ground, properly. This is an important function for every home and it is important to make sure that eavestrough installation in your Toronto home is done effectively. Need an eavestrough installation in Toronto? If you feel like you need to install new eavestrough on your home, you should consider seeking the expert services of Tip Top Trough; expert gutters installation for Toronto. We have been serving the citys’ residents for over a decade with eavestrough installation in Toronto. Thanks to the level of service and quality of work we provide, Tip Top Trough has solidified our reputation in the process. 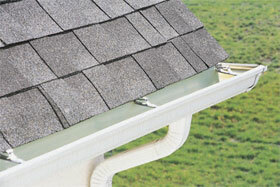 Many homeowners have acquired homes where the previous owner never replaced the eavestroughs. Therefore, to protect your residence and ensure that water damage doesn’t occur to your property, it is likely you require new eavestrough installation. Toronto‘s Tip Top Trough is at your service! Sometimes it can be difficult to differentiate between gutters that can be repaired versus those that need to be replaced and require new gutters installation. Toronto has for almost 20 years had a trusted source with Tip Top Trough to help make that decision with you. Most homeowners are unaware of the variables when inspecting their eavestroughs. Therefore, if you feel that an inspection of your gutters is necessary you should contact a professional that you can trust. Eavestrough installation throughout Toronto is what we do best. Our qualified and experienced technicians not only inspect and provide you with a quote of what is required, but are also experienced with a variety of materials and have been trained to be attentive to smallest of details. How do I know it’s time to get an eavestrough installation in Toronto? Signs that you should be aware of that are associated with new eavestrough installation are collections of water in areas of your gutters, rust in the edges near bolts and water that is flowing back in your gutters during heavy rainstorms. These signs may suggest that your home requires an eavestrough installation. Toronto’s Tip Top Trough provides regular home maintenance and inspection services to ensure that your gutters function properly. 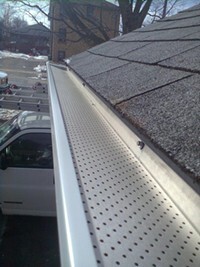 Tip Top Trough is Toronto’s eavestrough installation experts. Contractors at Tip Top Trough provide gutters installation throughout Toronto that is cost effective, professional and guaranteed. Gutter installation in Toronto should be left to a trained professional that understands the importance of proper water flow from your roof to the ground and everything in between.